Pakistan- Pakistan bans screenings of Indian films during Eid. The Pakistan government has imposed a ban on the screenings of Indian films in the country during the time of Eid. 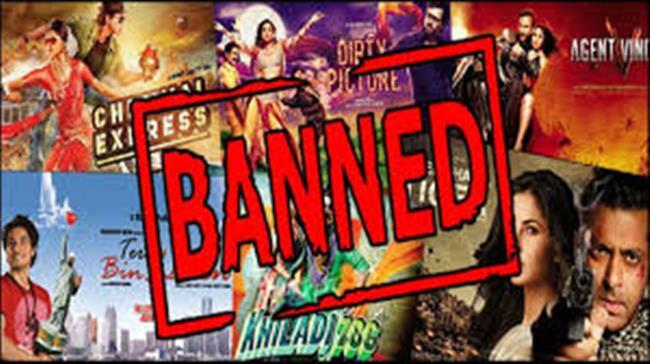 According to a May 24 notification issued by Pakistan’s Ministry of Information and Broadcasting, the exhibition and screening of Indian and foreign films will be banned for two days before the Eid to until two weeks after the holidays. The restrictions would be in place around the period of Eid ul-Fitr and Eid ul-Azha. “All the importers/distributors of the foreign films have been directed to restrain from the screening of Indian films in cinema houses all over the country during the above mentioned time period,” the letter stated. This move came after the film producers and artistes in Pakistan complained about facing stiff competition from the Indian and Hollywood movies due to which their films get restricted to a limited number of screens in the country.